Because I am over the white stuff, being stuck inside and winter over all, I’m in desperate need of color in my life!! 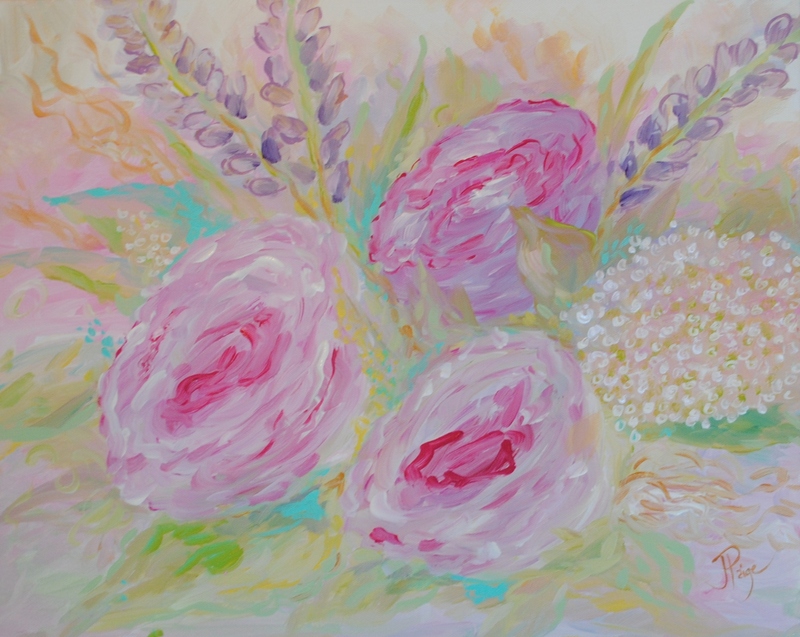 The beautiful skies yesterday inspired me to paint something for my baby girls room (due April 6th) I knew I wanted flowers, somewhat abstract & loose. When I started I really didn’t have any idea what I was going to do, only the colors I wanted. This is the fastest painting I have ever produced and there is more I could do but I really loved it and since it is for me proclaimed it finished! 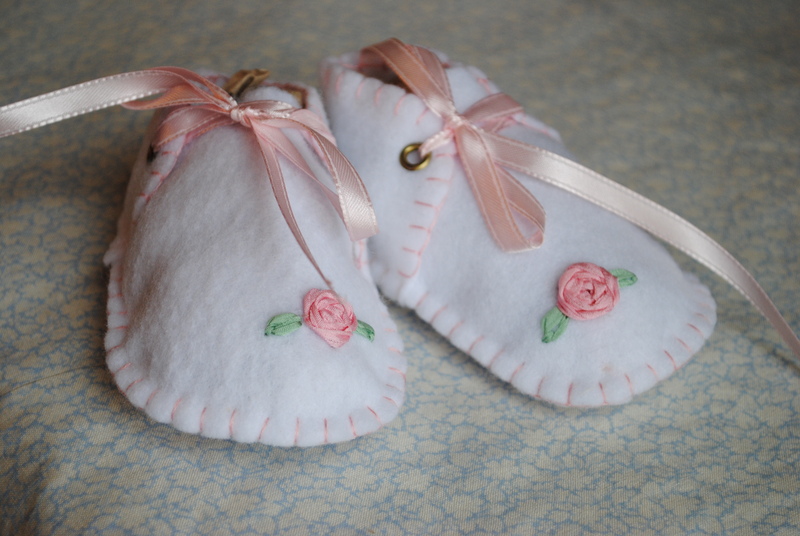 I found these little booties hiding in an old sewing box that I made when I was twelve or so. This painting is beautiful, I love it!